ADHD is a common behavioral disorder that affects about 10% of school-age children. Boys are about three times more likely than girls to be diagnosed with it, though it’s not yet understood why. 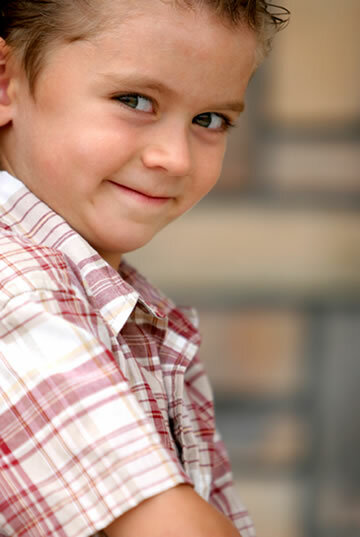 Children with ADHD act without thinking, are hyperactive, and have trouble focusing. They may understand what’s expected of them but have trouble following through because they can’t sit still, pay attention, or focus on details. All children experience short-lived fears or anxiety at times, but young people with Anxiety Disorder experience extreme, unrealistic worry that interferes with their daily lives. Typical signs of this disorder are excessive worrying about ordinary activities, such as attending school, forming friendships, separating from parents, or taking tests. Children with Anxiety Disorder are overly tense, self-conscious, and may require a lot of reassurance. They may complain of frequent stomach aches, headaches, and experience sweating, trembling, and palpitations. Autism is a very common in the pediatric population with estimates that 1:68 children are diagnosed with Autism. All children with autism demonstrate deficits in social interaction, communication and repetitive behaviors but in varying degrees. In addition, they will often have unusual responses to sensory experiences, such as sound or touch. The earlier the diagnosis is diagnosed, the sooner the child can be helped through treatment interventions. Behavioral services are designed, developed, and supervised by a specially licensed and certified psychologist, and are provided either within the home environment or through a center. Some children may behave in ways that re socially unacceptable such as having aggression towards others, cruelty towards animals, destructing property, and engaging in unlawful activity. Children with conduct disorders often have co-existing conditions such as mood disorders, anxiety, trauma conditions, ADCH or learning difficulties. Research shows that children who do not receive early treatment, are likely to have ongoing difficulties. Depression is a mood disorder that causes a child to feel sad or irritable for a long period of time. A child who is depressed may not enjoy school, play, or friends and may have low energy and other symptoms. Depression can last for a long time and may come in cycles of feeling down and feeling normal. Prevention is key in helping children build the skills and resiliency needed to avoid emotional disorders. Children impacted by parents with a mental illness, parents with a substance use disorder, or children that are victims of abuse or neglect have a significant higher chance of emotional disorders in the future. Preventative services are available for children as young as newborn to assist with maternal bonding, and throughout the childhood years. A variety of support services are available to meet the unique needs of each individual child and their family. For children with severe emotional concerns, intensive Home Based services are available to preserve the family unit, as well as Wraparound Coordination to assist children involved in multiple agencies. Case Management is available to help the family access needed resources and Respite is available to provide the family/care giver a break. Pines offers an array of children’s behavioral health services and supports. These services are provided based on the individual needs of the child, as well as what the parents and caregivers hope to achieve for their family.